All our Consultants are qualified and veteran ‘been there, done that’ professionals who have ‘walked the talk’. In development, over 3,400 marketing campaigns, ads, sales methods and business improvement systems were scrutinised and examined. TreNova partners & consults with small and medium sized enterprises and uses the Nova Business Acceleration Program that is proven and time tested to quickly build sales, turnover and profits. 16 Instant Cash Strategies - You will gain rapid results for your business from our instant ‘Revenue Maximisers’ – We put these into immediate effect to gain fast results for your business! 70 Business Growth Principles - These underlying ‘unfair advantage’ concepts are utilised to accelerate your business into permanent high performance mode. 7 Quantum Growth Multipliers – You achieve exponential growth by the understanding and use of these powerful ‘Growth Keys’. 444 Marketing Strategies - The most powerful and appropriate strategies are implemented to optimize your sales and leverage your business from Nova’s encyclopaedic reference source. 46 Step Project Management – Nova’s Tool Box of continuous business improvements helps to create permanent, positive and profitable change into your business. “We help Africa businesses and individuals to become prosperous by providing effective solutions and platforms for raising the largest number of enlightened entrepreneur millionaires. Samuel leads TreNova Ltd. He has extensive business, marketing and finance training including post graduate trainings in Information Management, Finance and Business Development in the UK. He qualified as a Chartered Accountant in 1999 and has over 16 years post qualification experience within corporate Nigeria and the UK. He started his corporate career with CCHBC, a multinational sales and marketing organization operating in 26 countries and Samuel was promoted 5 times within 6 years in one of the company’s operation location with over 8,700 employees. 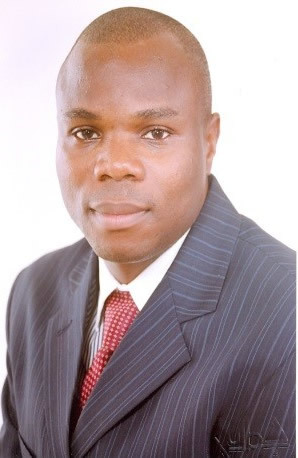 He is the founding CEO of The Treasure Place Ltd; a UK based Training and Business Development organization. He has trained over 7,000 school leaders and helped many of them to achieve enrolment of 100-600 new children in a single term. One of them he took from an annual revenue of N7.2m to N158m in less than 3 years. He has also trained more than 1,000 professionals across various sectors in Nigeria. Now at 44, Samuel has appeared on AIT popular Business Lunch program on couple of occasions and also featured on the Lagos Television Investment Café program severally. He has also provided comment and full page interview in the Nigerian Guardian newspaper and Westerner Magazine. He has also provided comment and articles to the Stock-Watch weekly newspaper.